Superpumper is a pioneering organization that has revolutionized use of technology and development of service stations entirely. They are spread across sixteen locations. They are a renowned car servicing center engaged in shelling gasoline, gift cards, diesel fuel, washing cars etc. Apart from servicing cars and other vehicles, the company also provides various amenities for the people like tidy restrooms, convenience stores for having snacks, soda, water and coffee etc., beer and wine center. They even provide additional entertaining section for travelers like Arizona Lottery, powerball and others. Travelers can also get the service of accessing wireless recharge cards of Voicestream, AT&T, Tracfone and even Verizon. 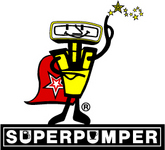 There are currently 0 consumer reviews about Superpumper Inc available. Share your review. Please take a note that you are about to post a public review about Superpumper Inc corporate office on CorporateOffice.com. This review will be public, so please do not post any of your personal information on this website. If you would like to contact the corporate offices of Superpumper Inc, please use their contact information such as their phone number, website, and address listed above to contact them. However, sometimes staff from Superpumper Inc headquarters do read the reviews on this website.